Did you know that after each chiropractic adjustment, research has shown patients benefit from a boosted immune response? * This is just one of the many benefits that patients can expect after a visit to our office! Dr. Donohue performs Diversified, Gonstead methods, and extremities. Activator Methods® – a gentle tool-assisted adjustment. While people of all ages are often candidates for the overall wellness achieved with chiropractic care, we make sure to provide a well-rounded examination of each patient before an adjustment is ever made. We want to ensure that we understand where your pain is and locate where it’s originating. If you’re nervous about undergoing an adjustment, remember that your doctor will explain what an adjustment is beforehand, and will only do so with your permission first. We not only want our patients to feel comfortable and calm when it comes to their care, but also pleased with the results. 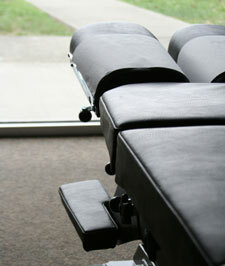 It’s important to remember that chiropractic adjustments are extremely safe. In fact, Dr. Donohue has performed thousands of adjustments on patients throughout his career. The American Medical Association also deemed chiropractic care the “go-to” initial treatment for individuals suffering from back or neck pain. It’s time to feel great again. If you’ve been looking for a way to improve your health, contact our office to get started with your first appointment. *Enhanced Phagocytic Cell respiratory Burst Induced by Spinal Manipulation. JMPT 1991:14:399-408.